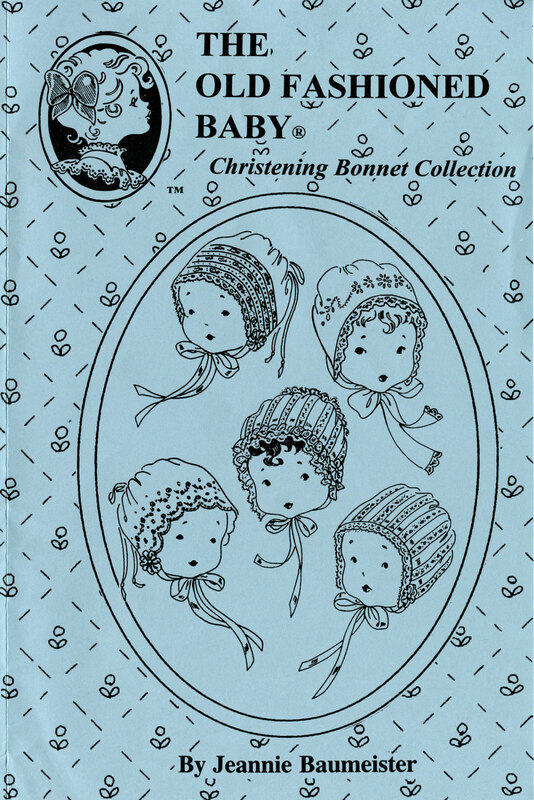 The Christening Bonnets pattern has something for every baby and every sewing level. There are 5 different bonnets and a tailored version for baby boys. 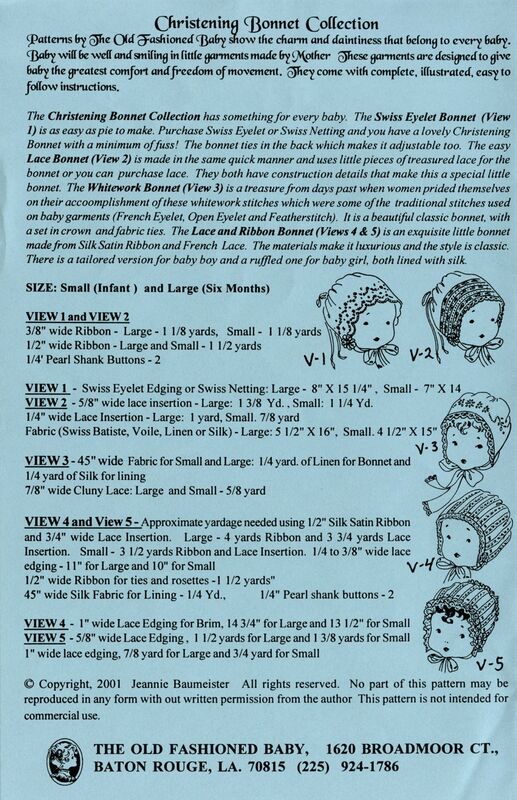 You can find a complete description of all variations as well as fabric requirements on the pattern back picture above.